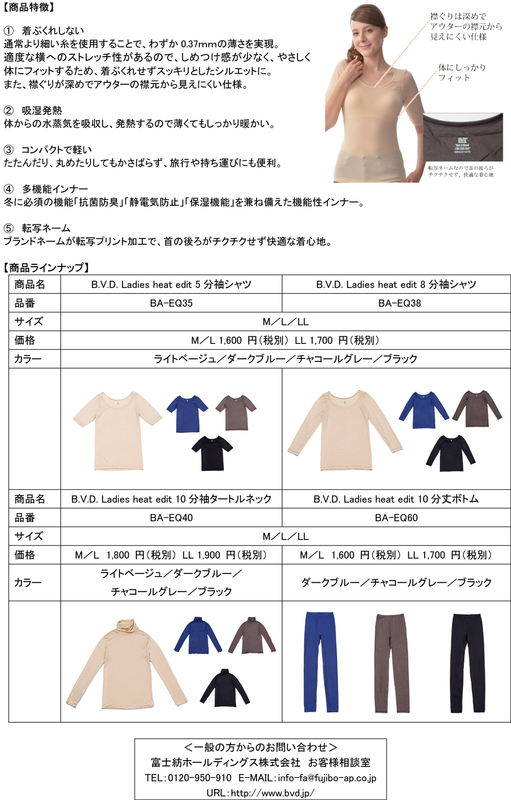 「B.V.D.®Ladies heat edit」シリーズ 2016年10月中旬より 発売開始 | B.V.D. B.V.D.® products are manufactured under license from The B.V.D. Licensing Corporation Bowling Green, Kentucky, U.S.A. B.V.D. is the registered trademark of The B.V.D. Licensing Corporation.